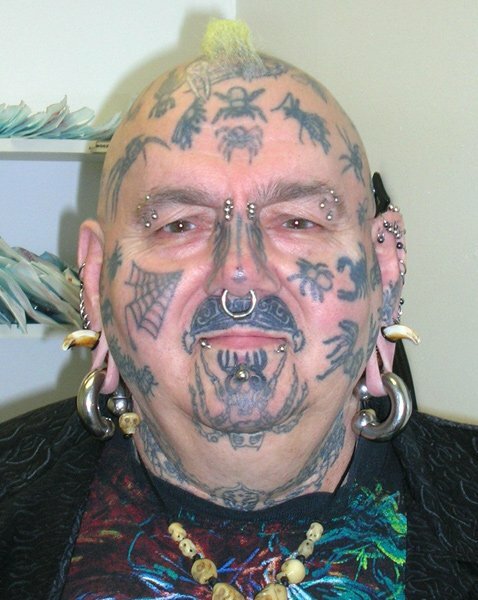 I started tattooing in 1975. A tattoo artist named "Pauley" performed my first tattoo in Massachusetts. He was one of the premiere tattoo artists in Scolley Square during the hey day of legal tattooing in Massachusetts. I have always had a burning desire to tattoo and in 1975 Pauley consented to teach me the art. I started by learning color mixing, needle jigging, stencil making and other things of that nature. I learned how to clean the barrels, needles and other items and sterilize them. After about 6 months he gave me my first gun. It was one that he had made himself and I started tattooing myself with no ink. This was so I could learn the correct amount of pressure to use for the procedure. He proceeded to let me tattoo smoked shoulders and then grapefruits. I started with outlines & small pieces and then on to shading. The final test before he would let me tattoo someone was to have me tattoo a peach and not tear it up. The first tattoo I performed on anyone was on myself. It was hard, painful and frightening and it really didn't go that well. Although people tell me that it's a cool looking tattoo I wish that I had done better. I then proceeded to tattoo small flash on people and then on to larger more complicated tattoos. He taught me how to line, shade & color.